Don't make a drama out of ordering your beverage exactly how you want it. 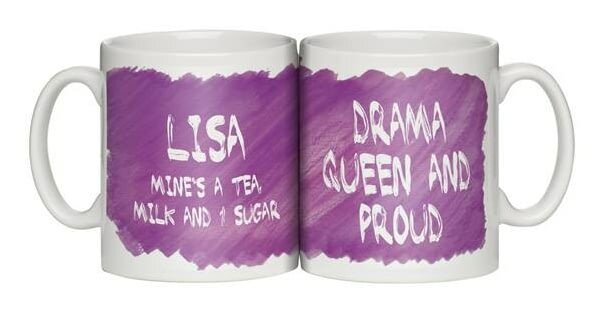 Just give your colleagues your personalised, purple wash mug with the instructions. The 10oz mug is safe in a microwave or dishwasher and is scratch resistant. Let everyone know exactly how you feel with our STATEMENT MUGS. A must have for all lefties. This will not only promote your uniqueness but will also let colleagues know how you take your beverage. This is a fabulous present for any Saracens fan and is approved and fully licensed by the club. This is a fabulous present for any Bradford Bulls fan and is approved and fully licensed by the club.